THERE’S NEVER BEEN a better time to get into network audio. What started out as a slightly fiddly offshoot of computer audio has evolved into a buoyant streaming sector with a wide selection of easy-to-use network music players to choose from. If you have the necessary budget, some models offer a very sophisticated level of performance and flexibility that’s hard to challenge. But with a plethora of setups out there from hi-fi separates to one-box systems, there’s more than one way to add streaming and bring your setup bang up to date. 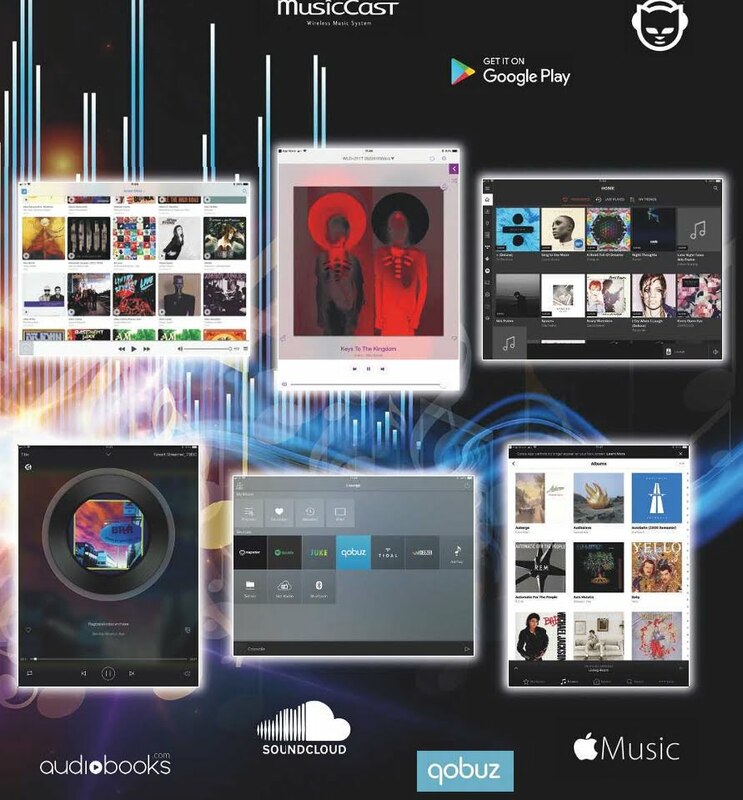 The appeal of being able to control a music library via a smartphone or tablet is a considerable pull for many. The touchscreen has evolved into a tool that provides a fascinating and engaging user experience, allowing us to navigate our own network-attached music libraries or those of a streaming service via an app. The best streamer apps make even large music libraries manageable as something we can access and explore more readily than a physical music collection, so the design of any navigational system will make or break just how we perceive a streamer’s functionality and success. As with any popular market sector, there is a number of entry-level options to get you started without breaking the bank. Despite the attractive price, many of these are impressively specified with support for high-resolution audio formats, on-board music streaming access to services such as Spotify, Tidal and Qobuz, and convenience features such as Bluetooth and AirPlay wireless connectivity for easy playback from additional devices. Adding a streaming box to your system allows you to rediscover and explore vast music worlds. Of course, even at this level sound quality is everything, so here we gather six sub-£450 models to discover which offers the best functionality, flexibility and performance to get you started. EACH OF THE models in this group opens up a world of music streaming for a reasonable outlay. Tibo’s Smart Streamer is perhaps the most niche of the products in the test with its preamp functionality, but feels a little compromised by the high fixed-level output and some slight loss of detail to the quality of its music streams. The Mitchell & Johnson WLD+211T has a limited spec at the price, but its high build quality, decent sonic performance and built-in DAB/FM tuner; as well as its steamed radio capabilities, mean that its flexibility will appeal to some users. Raumfeld’s Connector is well specified, both in terms of its format handling and useful features. The app is solid, easy to use and is part of a family of connected products. It has a slightly forward presentation, which could be an issue and any partnering equipment will need to be carefully selected to get the best sonic balance. The Sonos Connect by contrast, is the safe pair of hands in the test. Its refined sound, extensive functionality and slick app will win it many friends, although the lack of hi-res support means it’s somewhat limited in this competitive streaming market. It is hard to argue with the overall performance and remarkable value for money that Yamaha’s WXAD-10 represents. If you simply want a flexible standalone network streamer, this unassuming little device offers impressive sonic performance combined with a useful selection of features and excellent streaming service support. It can easily integrate with the company’s extensive range of MusicCast components, designed for all types of home environments. The little Yamaha is a very fine streaming adapter indeed. Auralic’s Aries Mini might be the most costly, but the stable and easy-to-use Lightning app (iOS only), useful expansion capability and outstanding sound quality make it the best way to get into network audio and is our outright winner. This hi-res streamer looks unremarkable but offers a superb sonic performance, ease of use and plenty of flexibility.